Manufacturer Code: C20230T2(C). Freeview T2 HD. HDMI is perfect for connecting hi-definition external devices. Tuner Freeview HD. Refresh Rate 60 Hz. 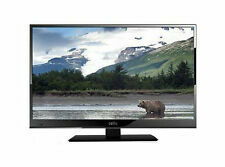 20” HD Ready widescreen LED TV. HDMI Port 1x HDMI Port. C32227T2 V3. Freeview HD tuner. Freeview HD: Yes. Freeview: Yes. HD Ready resolution. TVs > LED TVs. Type: LED TV. Colour: Black. Freeview: Yes. TVs > LED TVs. Type: LED TV. Colour: Black. Non-essential accessories (cables, adapters etc.) may NOT be supplied. Screen Type: LED. The above policies do not affect your statutory rights. Manufacturer Code: C32227T2(C). Built-in Freeview HD and Digital Freeview Channels. 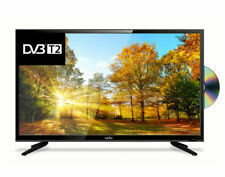 This super slim 32” Digital LED TV features DVB-T2 Freeview HD. Tuner Freeview HD. HD Ready widescreen LED TV. TV Type LED. Manufacturer Code: C16230FT2. Refresh 60Hz. TV and DVD Player in one neat unit with one remote to operate everything. Refresh Rate 60 Hz. Tuner Freeview HD. Built-in Digital Freeview HD Channels. Digital Freeview HD Yes. 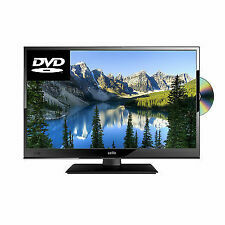 Cello C19230F 48.3 cm (19") TV/DVD Combo - HDTV - 16:9 - 1366 x 768 - 720p - LED - DVB-T, DVB-T2, DVB-S2 - 2 x HDMI - USB. Manufacturer Part Number: C19230F. Product Model: C19230F. Maximum Resolution: 1366 x 768. 8am t o 6pm. O pening h ours. c ash o nc ollection o nly. T his i tem i s. <> <><> <> <><>. 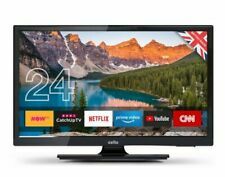 Cello C32227FT2 81.3 cm (32") TV/DVD Combo - HDTV - 16:9 - 1366 x 768 - 720p - LED - DVB-T (MPEG4) - NTSC, PAL - Dolby Digital - 2 x HDMI - USB - DLNA Certified. Manufacturer Part Number: C32227FT2. Product Model: C32227FT2. This is a graded product. A1 products are "as new" but have been box opened. All A1 products will be fully bubble-wrapped for transportation. 16" LED TV. 720p HD Ready. Freeview HD. Built-in DVD Player. HD Ready 1366x768 display resolution. Product Contents: LED TV, remote, 2x AAA batteries, ac adaptor and user guide. VESA Wall mount compatible (75x75). Nicam stereo speakers with 2x 3W output. During that process you will be issued with an RMA number. Manufacturer Part Number: C32227DVB. Product Model: C32227DVB. Sound System: NICAM. Digital Tuner: DVB-T (MPEG2). Maximum Resolution: 1366 x 768. Video Signal Standard: HDTV. Manufacturer: Cello Electronics. Monitor & TV. HD type HD. Internet TV No. Smart TV No. Optical disc player type DVD player. Display diagonal 81.3 cm (32"). Display technology LED. Optical disc player Yes. C20230DVB - 20", 1366 x 768, 16:9, 1366 x 768, 1000:1, DVB-T. This super slim Cello Electronics TV combines style and function. Enjoy the sharp picture quality on the 19" screen and playback music,films and photos using the USB port. Freeview is a free digital TV service. It provides 50 digital TV channels and 24 radio stations with no need for a subscription. All Cello TVs include Freeview as standard. With this TV you can connect three external devices using the three available HDMI connections. Plug in a USB drive and you can record and even pause live TV. You can also play back previous recordings or video files, display photographs and play music - all from your USB drive. This TV is also wall mountable. Monitor & TV. you can buy in set of 6 max. New Arrivals. QUICK LINKS. Desktop PC. we do not take any responsibilty after this. Audio Visual Products. Why Choose Us! Freeview is a free digital TV service. It provides 50 digital TV channels and 24 radio stations with no need for a subscription. All Cello TVs include Freeview as standard. Monitor & TV. Cello HD Ready TVs can display a picture of 1920 by 1080 pixels - well over 2 million - which adds clarity to images never before possible with analogue or standard definition digital. BUILT-IN FREEVIEW HD TUNER. Digital Freeview. SUPER SLIM 20" HD LED TV. AC100-240v – DC 12v. BUILT-IN DVD PLAYER. DVD Player. Need a compatible 12V adapter?. ‘A’ – 16 watts on working and 0.5 watt standby power consumption. 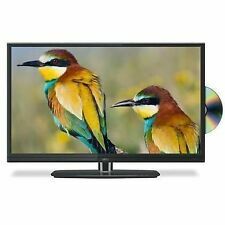 16" Full HD LED TV with Freeview T2 capabilities Contrast Ratio : 800:1. 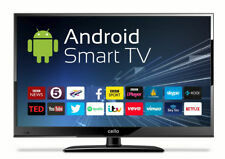 Built-in Freeview T2 HD channels, which allows you to watch and enjoy digital content including HD channels. A sleek and streamlined design belies the wealth of features available in this compact product, which include a built-in DVD player and Freeview T2 HD capabilities. Freeview HD. Freeview T2 HDYes. 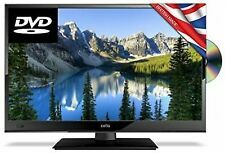 20” HD Ready widescreen LED TV. PowerAC100-240v – DC 12v. Need a compatible 12V adapter?. All of these products have been professionally checked, tested and approved for re-sale. The HD Ready screen provides the pinnacle of picture quality with unprecedented clarity and vibrant colours - all the while ensuring that energy consumption is kept to a minimum. It′s the only way to experience your Blu-ray and HD gaming.